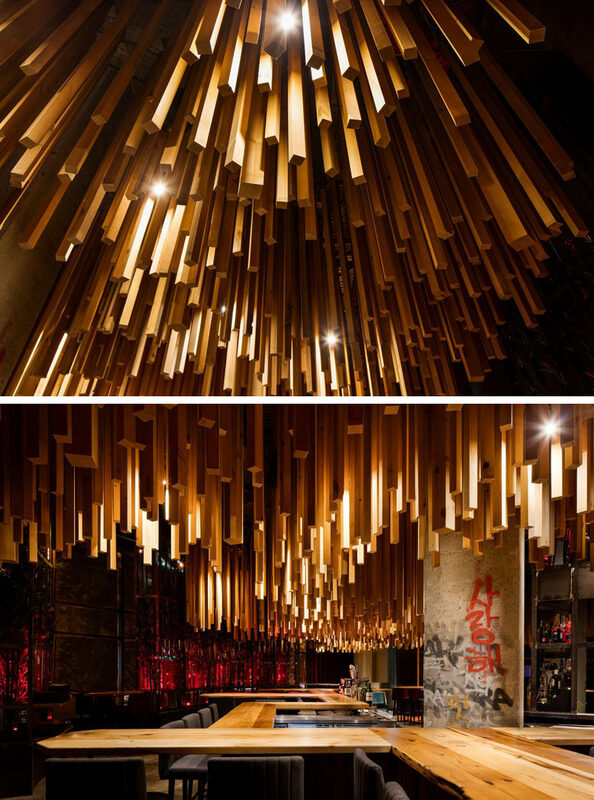 Design firm Jean de Lessard – Designers Créatifs have recently completed Ganadara, a new restaurant in Montreal, Canada, that features wood lengths that hang from the ceiling at different heights. The Korean fusion food restaurant that’s also inspired by K-hip hop, uses wood to add warmth to the otherwise concrete and steel interior. 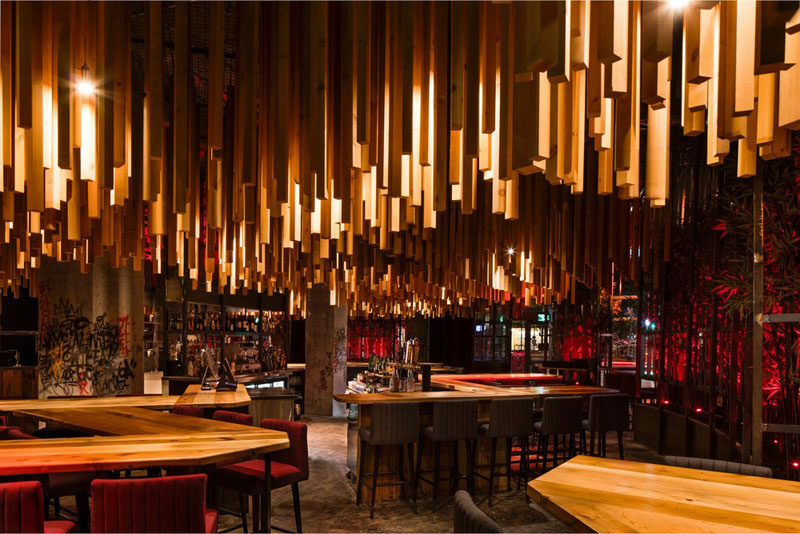 Starting from the central position, 2700 pieces of timber hang to create a bamboo forest, and to add even further interest, lights with a pink hue shine on the wood, allowing it to tie in with the pink stools.